The Care A Vanners on the job in Ft. Meyers. I've spent the last two weeks with Habitat for Humanity (HFH) of Lee County, Florida, parked at their headquarters in North Fort Myers. I arrived Monday 5 April, got settled in, and met the other Care A Vanners. 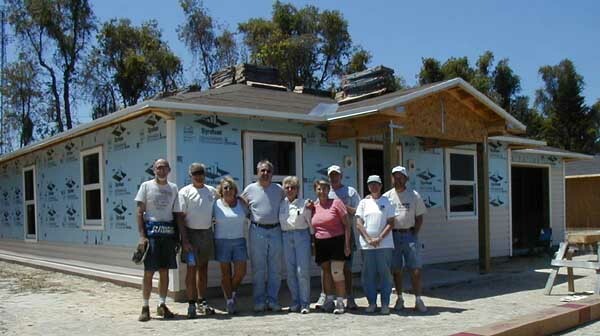 There are 11 of us - 5 couples and me, and we are all members of the Escapees HFH group, and are here as part of the HFH Care A Vanner program, that organizes groups of RVers to live in their RVs near an HFH construction site while volunteering for HFH. Monday afternoon we met with HFH staff who welcomed us and explained some of the details of what we would be doing. 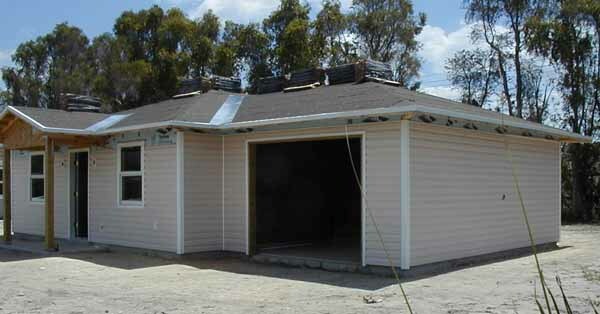 We were told that HFH of Lee County Florida built 50 to 70 houses last year and is aiming to build 100 this year. The next morning we drove to Lehigh Acres, where HFH has acquired 300 building lots in an empty subdivision. Roads had been paved, and canals dug to drain the swampy land probably 20 years or more ago, but there has been no power, water or sewer in the area, and no homes built. Now HFH has ten or more houses completed or under construction in the area and power has been brought in to some parts of the subdivision. I was assigned, with some of the others, to install vinyl siding and that is what I did for the 2 weeks with the exception of one rainy day when we installed drywall. We worked on homes in Lehigh Acres for 8 days, then in North Fort Myers for the final 2 days. 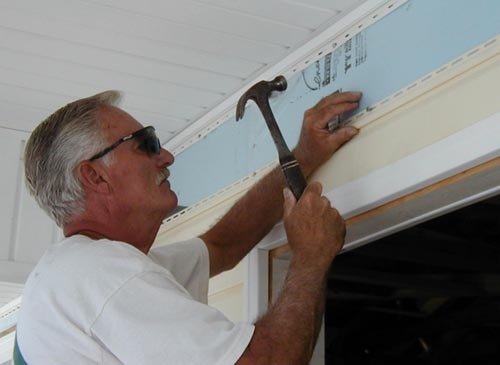 Care A Vanner John Lawson installs vinyl siding. On a typical day we would arrive at the job site about 8AM. give everyone a hug (an Escapees tradition), then form a circle for morning devotion (a HFH tradition). Then we would work until about 2PM with a break at 10AM and lunch about noon. HFH provided a supervisor who acted as our instructor, provided a variety of tools, made sure we had the materials we needed, and worked along with us once we got going. On most days, the sun was getting pretty hot by 2PM and we were happy to call it quits for the day. After the first couple of days, I got pretty good at putting up vinyl siding, and our work time was very productive. Although we worked on 6 or 8 different houses, we sided one from start to finish and did the equivalent of completely siding at least 3 homes. In addition to the siding team, two Care A Vanners worked with the electrician wiring houses, and another two specialized in installing soffets. The finished product - one of the houses we worked on with the vinyl siding almost completed. The Care a Vanners - all cleaned up and ready to move on. 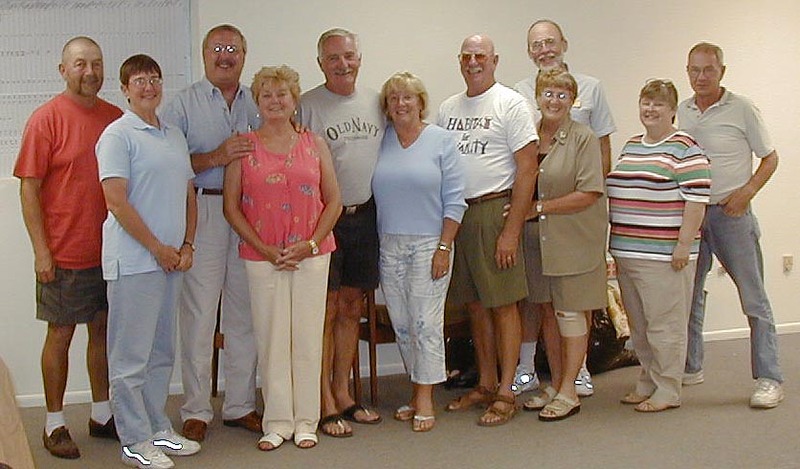 From left to right Ken & Fran, Sam & Connie, John & Rose, Bob & Helen, Allen, Midge & Bub. On Saturday morning all the other Care A Vanners left in their RVs and scattered in different directions. I remained parked at HFH for the weekend and visited with my Aunt Stella Walima, and some of her children, grand children, and great grand children. Tomorrow (Monday) I will head north with a plan of spending Tuesday at EPCOT center near Orlando, and Wednesday at Cape Kennedy. 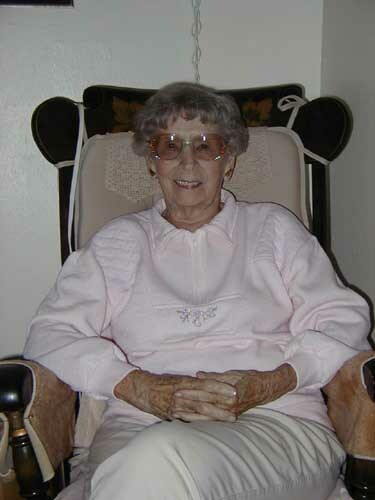 Aunt Stella at her home in Lehigh Acres, FL. The next report will probably be from Georgia. How I spent my Easter morning - I took a walk and noticed a power pole on fire. I called the fire Dept., then stood around with them waiting for the power company. 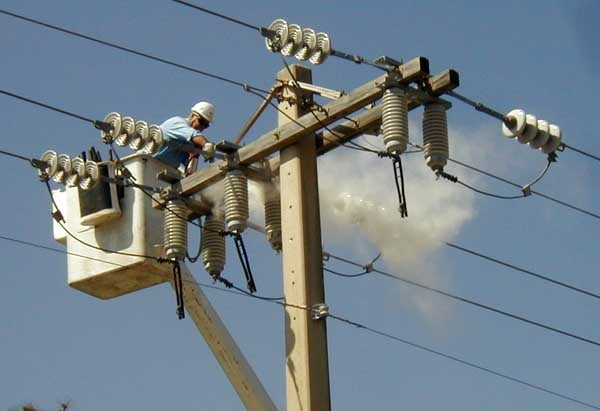 The picture shows the guy from the power company extinguishing the burning cross member.